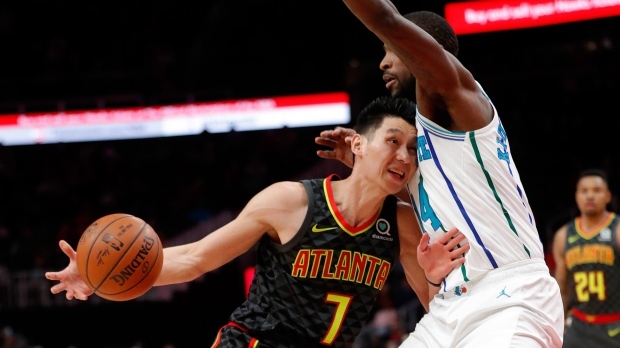 MIAMI -- Jeremy Lin is about to be on the move again, with the veteran guard in the process of getting bought out by the Atlanta Hawks so he can sign with the playoff-contending Toronto Raptors. Lin gives the Raptors obvious depth at both guard spots, and will likely -- once he clears waivers and joins Toronto -- spend time backing up both point guard Kyle Lowry and shooting guard Danny Green. The plans to enter into an agreement with Lin comes one day after the Raptors finalized the conversion of two-way player Chris Boucher's contract to an NBA standard contract. Lin has averaged 11.8 points in 457 career games. He's been part of three previous playoff runs, in 2013 and 2014 with Houston and in 2016 with Charlotte.